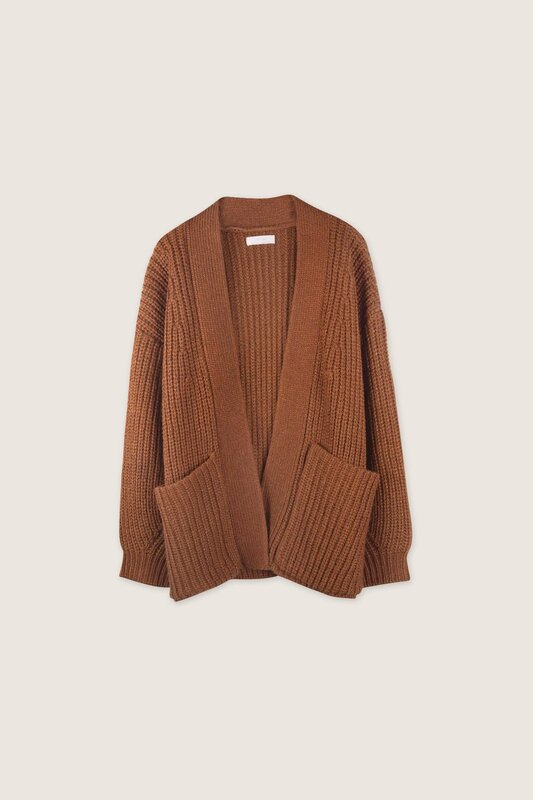 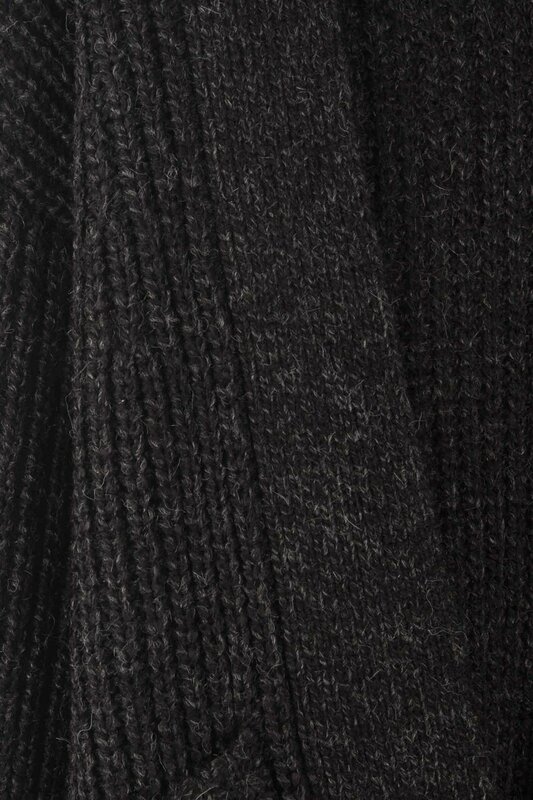 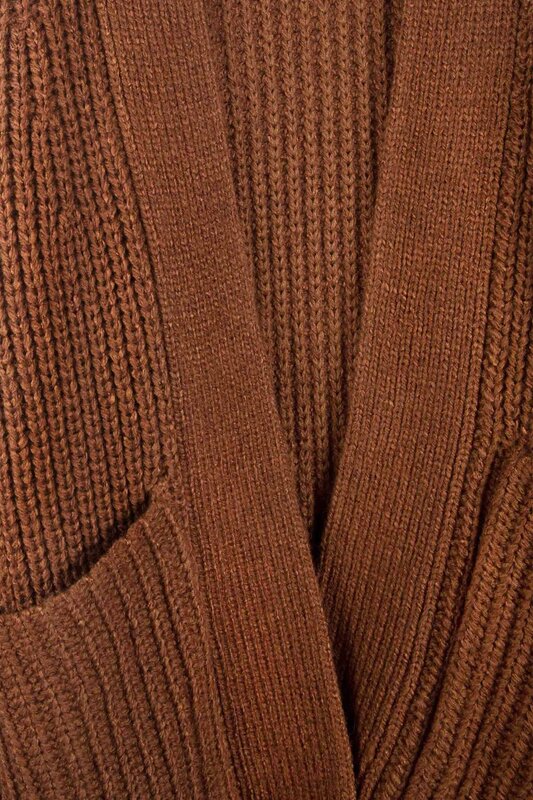 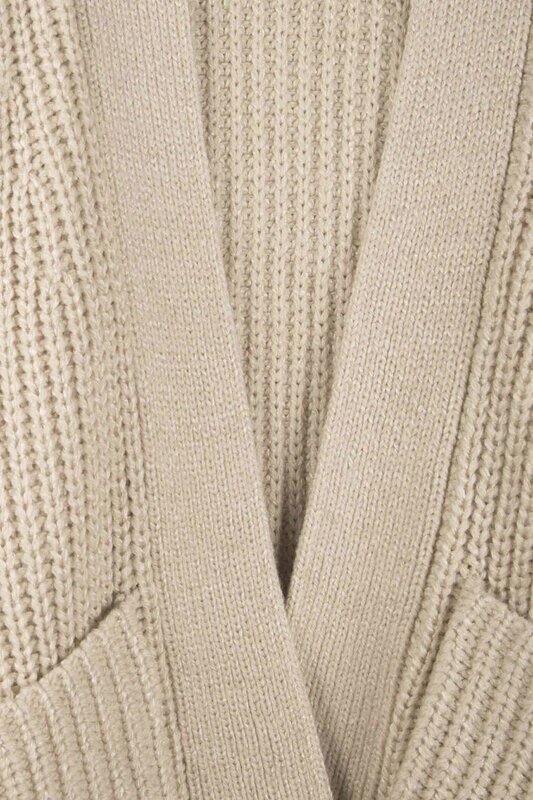 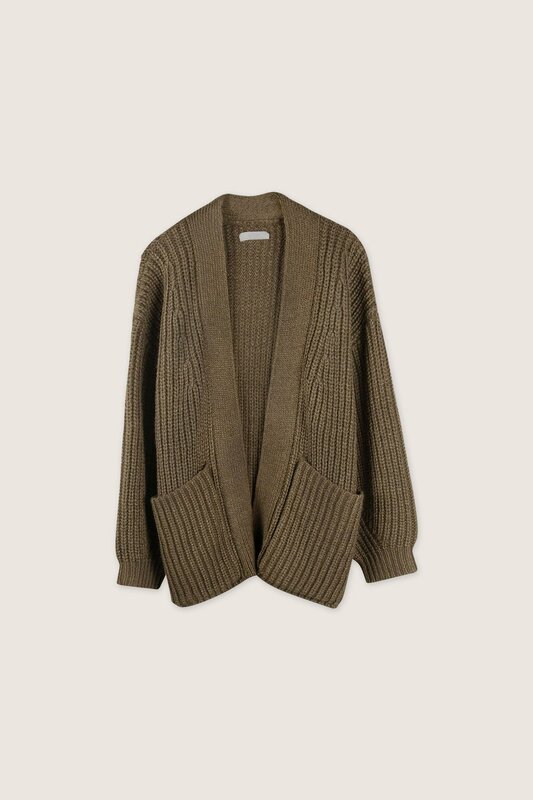 Crafted from a cozy wool-blend, this knitted cardigan features an open-front design with two front pockets. 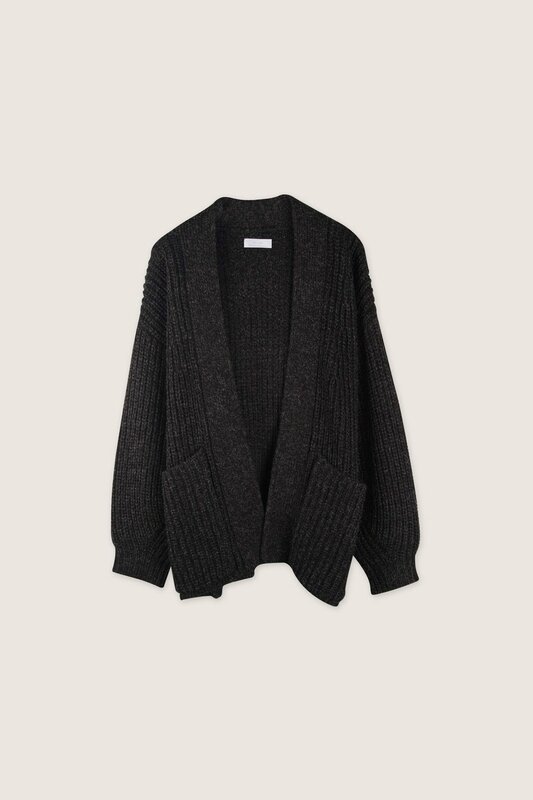 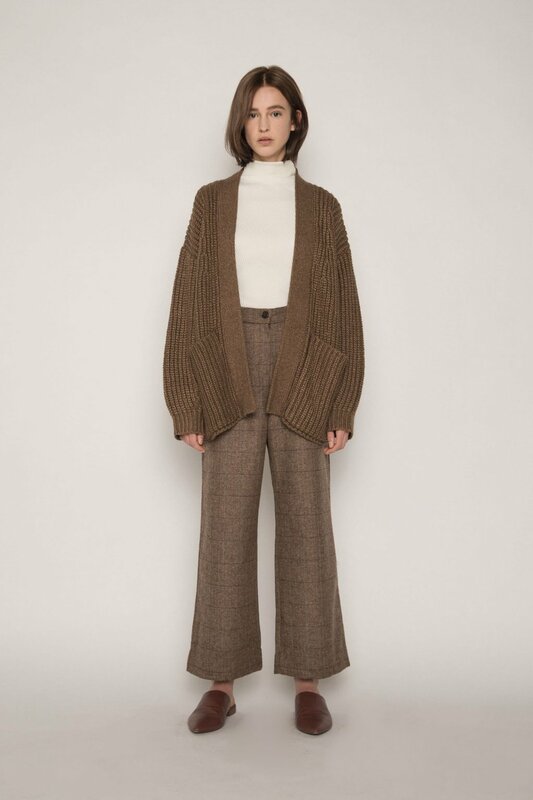 Minimal and a fall classic, this piece is perfect for layering for the colder weather. 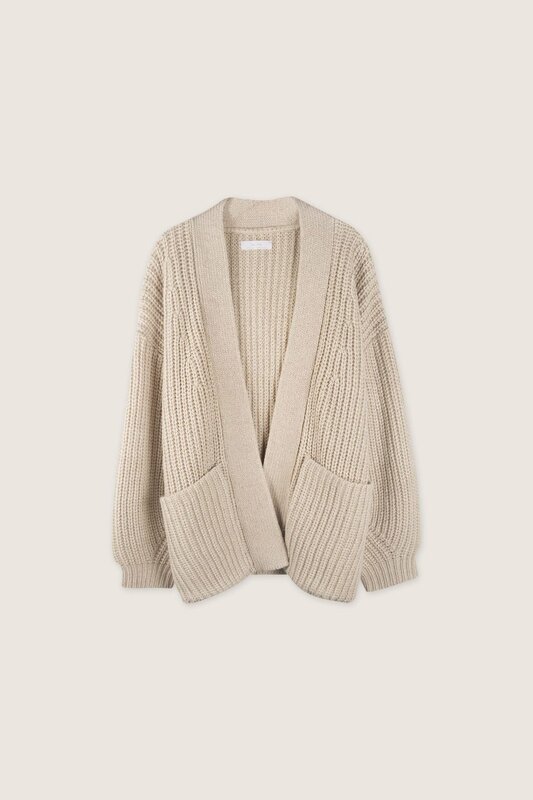 Pair with a turtleneck, denim, and ankle boots for a cute and casual everyday look.